Best Tandem Skydiving Experience in Virginia! First time skydiving? We have you covered! 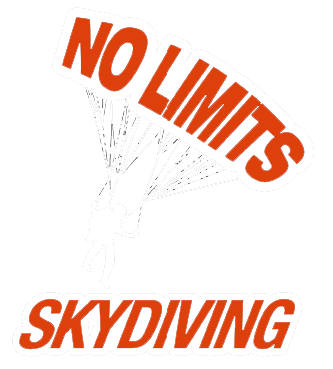 No Limits Skydiving offers the safest, lowest priced, and exciting tandem skydiving experience in Virginia. Check out our prices, deals, & discounts. We are Virginia’s first choice for tandem skydiving! Tandem skydives are the quickest and safest method to learn to skydive or make your first jump. If you are looking for a new adventure in Richmond why not try skydiving? We cater to first-time skydivers and offer the safest and best priced tandem skydiving experience in Virginia. Visiting or live in Virginia Beach, VA and looking for an awesome new adventure? Join us for the most adrenaline-packed sport there is! Our tandem skydiving dropzone in West Point, VA provides a beautiful aerial view of the Mattaponi, Pamunkey, and Yorktown Rivers running into the Chesapeake Bay. Our dropzone in Victoria, VA provides tandem skydivers with a beautiful view of the rolling hills, trees, Lake Gaston, and mountains that line the horizon. Ready to check skydiving off your bucket list? Most people treat skydiving as a once-in-a-lifetime event, and we know that’s a big deal. That’s why we designed a program that revolves entirely around tandem and first-time skydivers. We’re here to make sure that your tandem skydiving experience is one that you’ll never forget! If you have any questions, please visit our skydiving FAQ page or call us at (866) 553-2915. If you are new to skydiving, please feel free to read about our process and get a better idea of what 'goes down' during a tandem jump. Our highly experienced staff always prioritizes safety first. No Limits Skydiving offers unmatched pricing on tandem skydives in Virginia. Ask us about our group tandem jump discounts. Want to know what to expect? We update our tandem skydiving gallery regularly so you can get a feel for what your tandem jump will be like. If you're still thinking about giving tandem skydiving a chance, you may be thinking too hard. Don't miss out on the experience of a lifetime! We've searched high and low to give you the best tandem skydiving scenery in Virginia. Our drop zones are conveniently located near Virginia Beach & Richmond, VA. Still have questions? We have put together a list of the most frequently asked questions about skydiving and tandem jumps. If you have a question that isn't on our list, feel free to call us at (866) 553-2915.